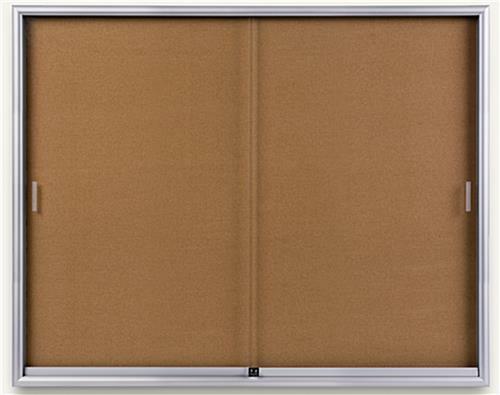 This Cork Board with Silver Framing is Ideal for Any Decor! 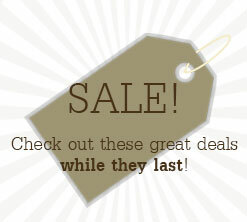 Shop Our Huge Selection Today! Silver framing for an elegant, organized look. Comes with self-hanging unit to attach to wall. 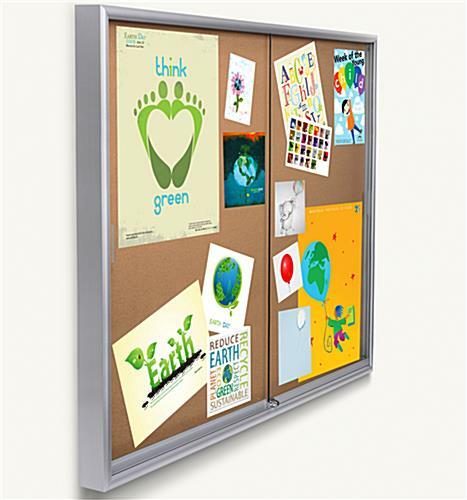 This cork board with silver framing is ideal for any entryway, classroom, office, cubicle or display setting. The 5' by 4' pin board provides ample room for tacking and showcasing multiple items at once. 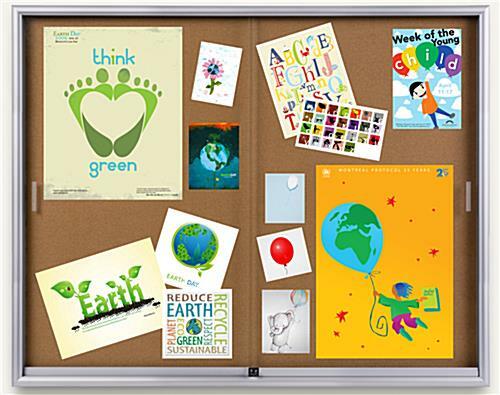 This cork board is frame by silver aluminum. Additionally, it comes ready to hang from any wall with the included bracket. 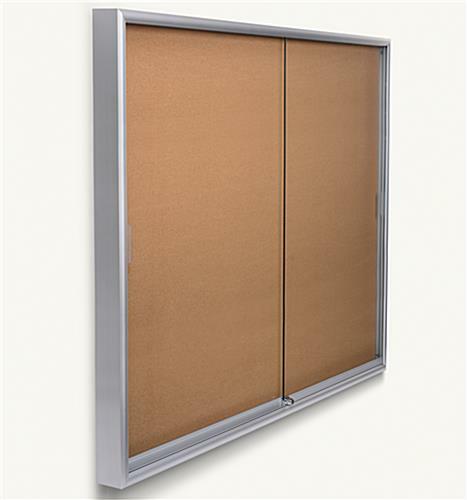 This cork board also features locking, sliding doors to keep items safe. Rolling guides make this hanging display simple to open and close. 58.0" x 48.0" x 1.5"